Created with a tropical blend of sweet and smooth notes of organic coconut oil and powerful floral Frangipani, this indulgent new Brave Botanicals conditioner from Faith In Nature will leave hair feeling hydrated, revitalised and fabulous. 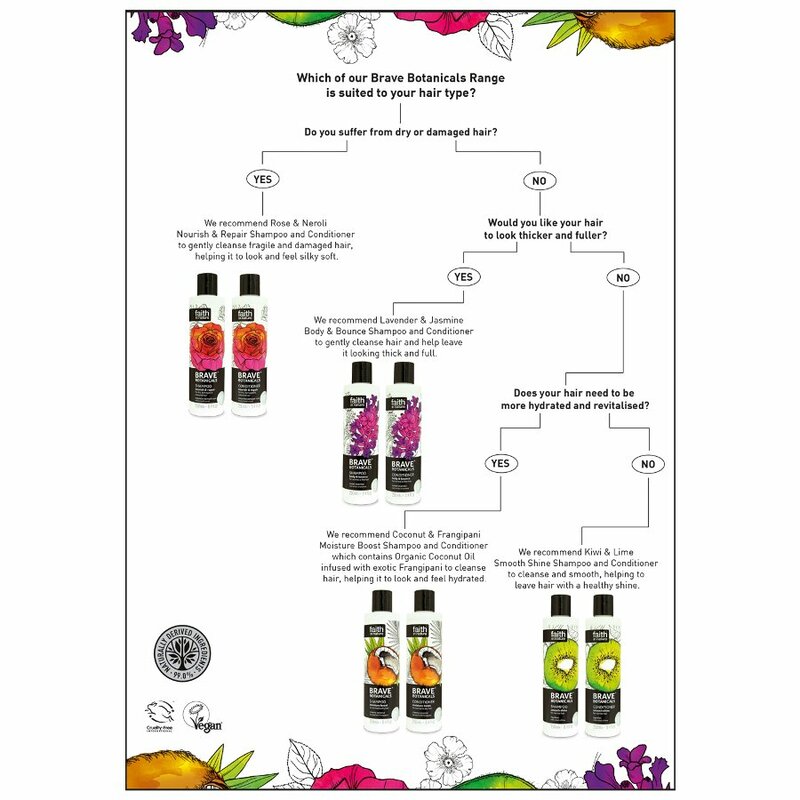 Paraben and SLS free, it is also free from any artificial colours or fragrances and made from 99% naturally derived ingredients and won’t harm the environment. 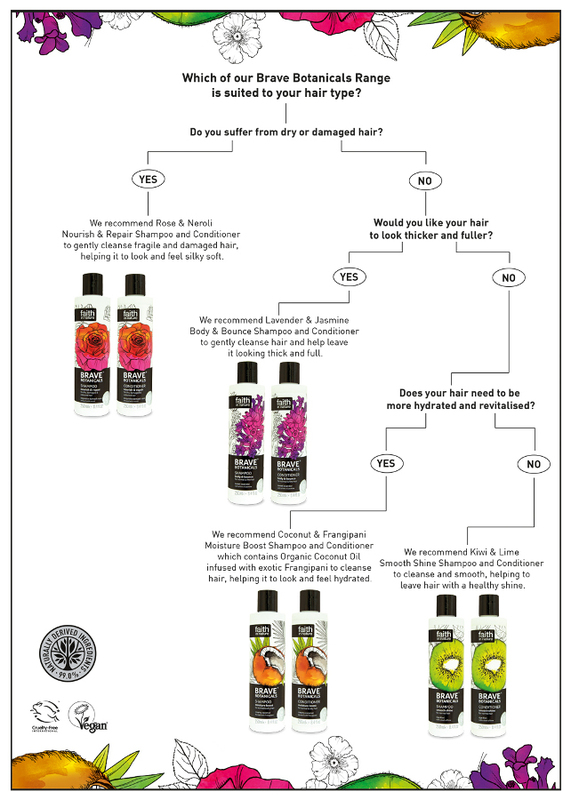 After washing with Moisture Boost Shampoo, apply to hair and leave on for 1-5 minutes. Rinse well. For frequent use. In case of contact with eyes, rinse with clean water immediately. If irritation occurs, stop use. Keep out of reach of children. 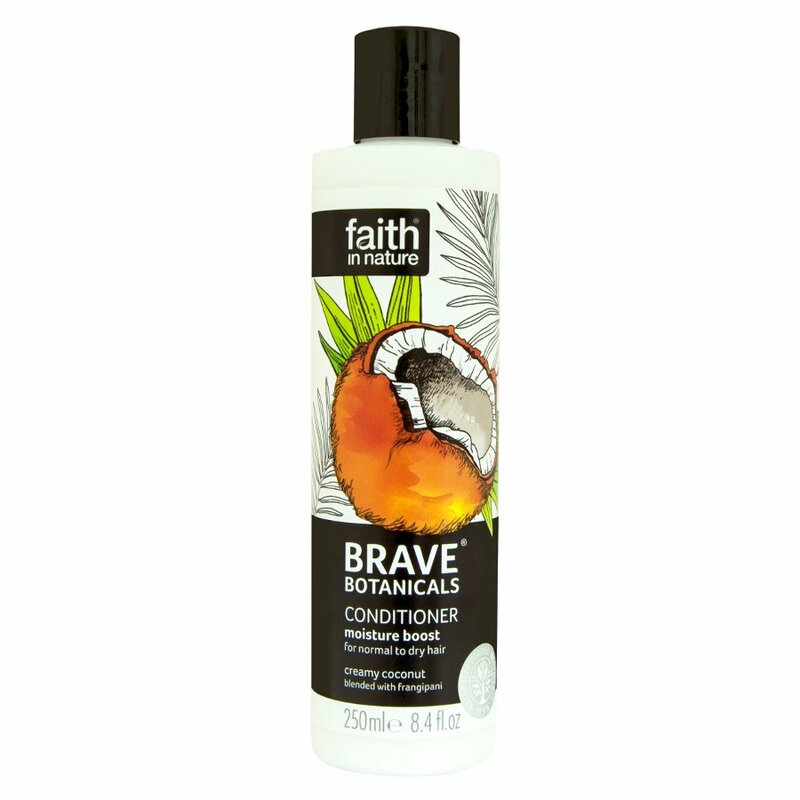 There are currently no questions to display about Faith In Nature Brave Botanicals Moisture Boost Conditioner - 250ml.